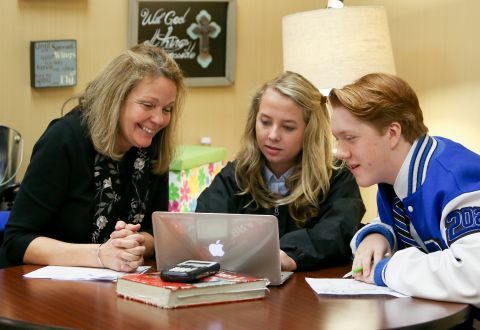 Mount Paran Christian School was founded on the belief that all children are uniquely created with distinct strengths upon which they can build. Our instructors recognize the development of a student’s abilities and talents may evolve differently. Therefore, instructors seek to know each child deeply in order to personalize his or her path of learning. 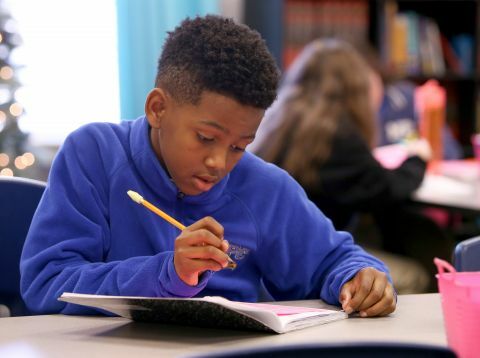 Beginning in lower school, MPCS offers reading support, directed studies for those with learning differences, on-level classes, advanced classes, accelerated courses, honors/AP paths, and gifted instruction through our ENCORE program. Though each learning journey may be diverse, academic excellence can be attained by every student. Watch the video to learn more about the MPCS Directed Studies program. Since its inception in 1976, the Directed Studies program at MPCS has made it a priority to support non-traditional learners in developing a clear and confident understanding of their God-given gifts. Student success advances by applying customized learning strategies uniquely suited to individual strengths. Students increasingly view themselves as highly capable learners as they accomplish their goals. When discovered, these attributes support the true heart and soul of a Christian education — inspiring young men and women to aspire to all that the Lord has in store for them as lifelong learners and successful students within our challenging college-preparatory program, and beyond. Over the past four decades, MPCS Directed Studies program has been fine-tuned toward helping all types of learners find academic success. From mild learning differences to dyslexia, the core of this well-established program has unceasingly supported our school mission in the preparation of confident learners and servant-leaders. 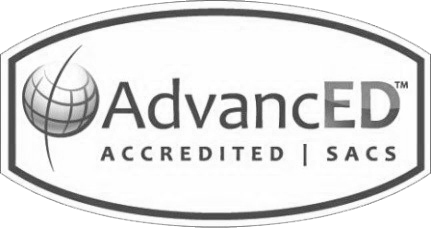 The Directed Studies instructional support program in these grades is designed to support the unique learner in a small group setting for math and language arts instruction. Grade-level objectives guide what is taught, and a variety of curricular materials and diverse teaching methodologies enhance students’ acquisition of critical concepts and skills. Students with diagnosed mild learning differences are eligible to participate, and families pay an additional fee for these individualized services. Individual and small group support are provided under the umbrella of personalized mentoring services in a learning-laboratory setting as part of the school day or A/B rotation. Specifically, student accommodation plans guide the provision of a secure learning space where learners receive course-specific tutoring, advocacy, refinement of social, emotional, and cognitive self-management skills, and focused preparation for the transition to college. Students with diagnosed mild learning differences are eligible to participate and there is an additional fee for this program. Developed by the Directed Studies faculty, personalized plans outline how classroom instruction and assessment will support a student's unique learning profile. Guidance and Directed Studies faculty work together with teachers to design course-specific interventions consistent with the accommodation plans. Once the plans are initiated within the classroom, support faculty ensures ongoing student advocacy and consistent monitoring of student progress. MPCS also accommodates the advanced or gifted learner; one who tends to be a highly motivated, critical thinker able to glean knowledge quickly and independently. Qualified faculty are equipped to challenge young learners from enrichment programs to Advanced Placement. To meet the needs of these students, lower school teachers may offer an accelerated curriculum within the classroom. Teachers believe this allows advanced learners to continue to progress educationally at a rate that fits their learning profile and prevents feelings of boredom and frustration. Fourth and fifth grades also provide advanced mathematics and language arts classes for students who quallify. The ENCORE enrichment program is a gifted-calibre pull-out class offered to qualifying students in grades 3-5. ENCORE provides opportunities for additional challenge and concentrated project-based learning to facilitate deeper problem-solving skills. In middle school, many students qualify for advanced math and/or advanced language arts courses. In addition, eighth grade students may qualify for advanced content in science and math with high-school level curriculum. Accelerated math is also offered to eighth-graders who qualify. Almost 40 percent of our middle school students qualify for the Duke TIP program. MPCS high school offers a wide range of curricular offerings challenging students to develop analytical abilities and problem-solving skills. 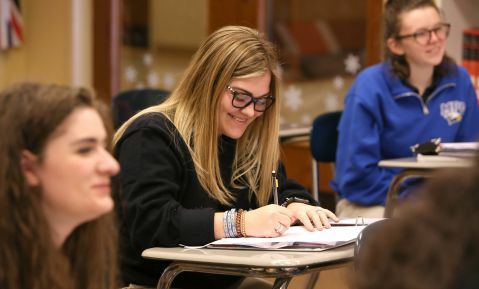 With more than 56 Advanced Placement (AP) and honors course offerings spanning the curriculum, students are challenged to pursue course content normally reserved for college. Honors courses offered in every content area except Bible, provide added academic challenge for students who wish to delve more deeply into a specific content area. 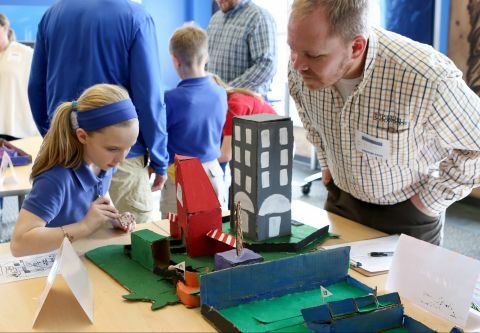 The innovative STEM/STEAM program with Project Lead The Way® (AP-level) curriculum introduces students to the engineering design process, which is in high demand throughout the modern business world. Seniors achieve 100 percent acceptance to top four-year colleges and universities, and graduating classes have earned more than $7 million in scholarships annually, even before the HOPE/Zell grants. Dedicated teachers are highly qualified in their subject matter and committed to providing enriched learning experiences for all learners.